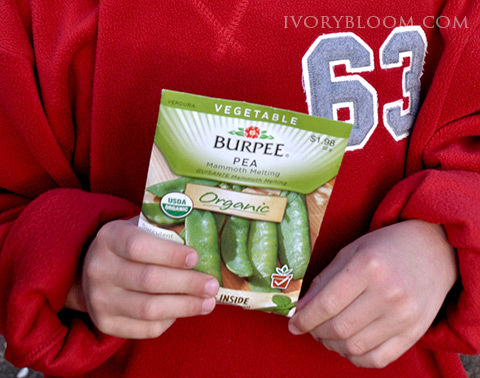 Research shows that kids who help in the garden are more likely to eat vegetables! I know we'd all love our kids to eat more veggies, spend more time outside and learn responsibility. 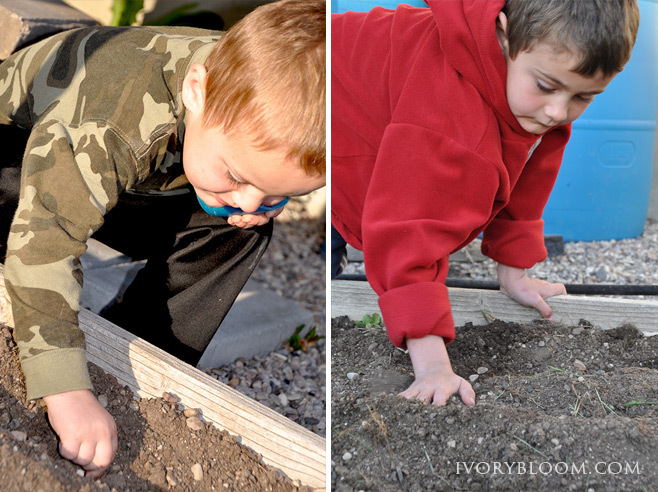 Planting a garden is a great way to accomplish all those things in one activity. 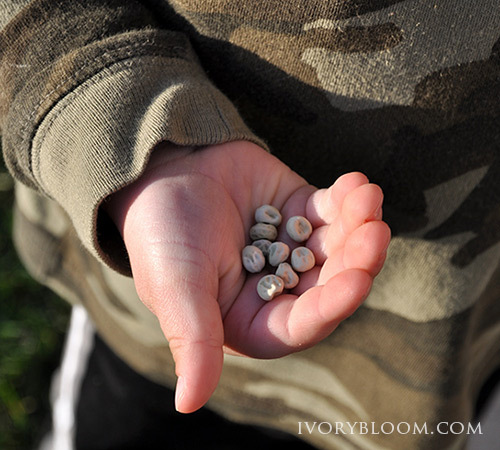 Last week we planted some peas. Our garden isn't big or fancy, but my kids LOVE seeing the plants grow. 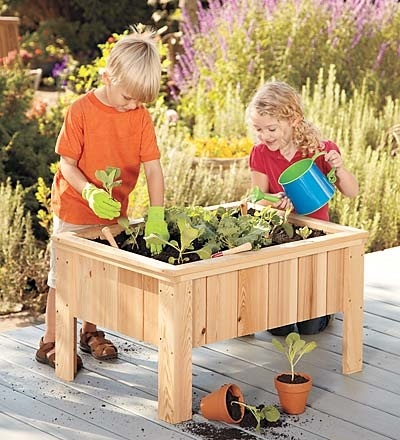 We also create fun family memories while working on the garden together. Gardens do not have to be "pretty". If you look closely, our garden soil is a mixture of dirt, rocks and sand that the boys have transplanted from various parts of the yard. The plants still grow ok! 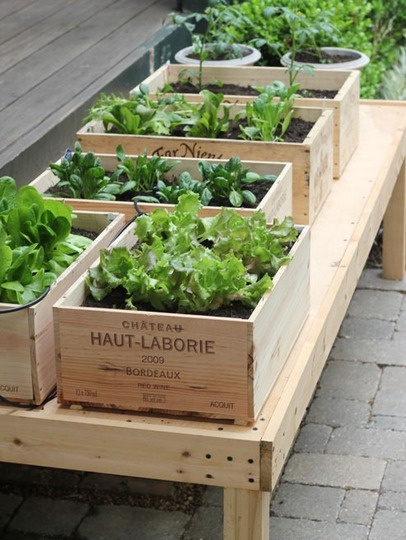 Pinterest has some great ideas for gardening in small spaces. 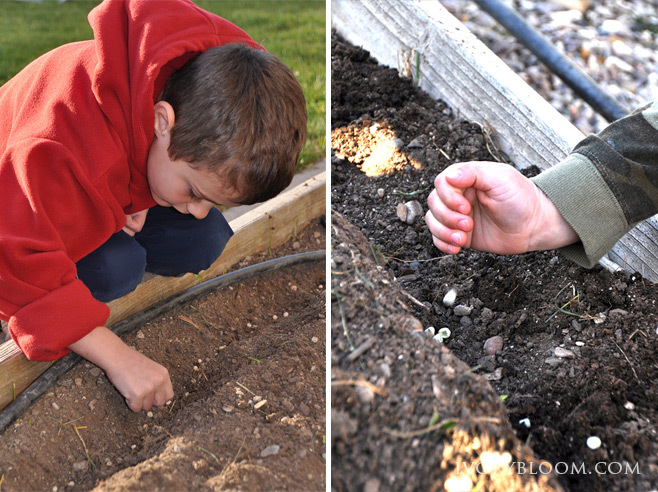 It's never too late to start... plant something with your kids today!